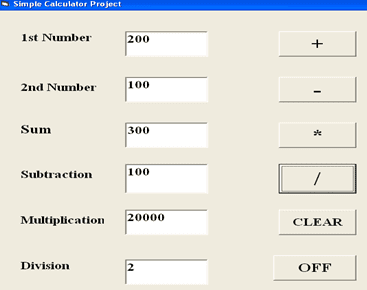 Do you want to the simple calculation program in visual basic? Yes we know you want because calculator program is one of the main part in visual basic. How to Create a Simple Calculator program in VB? To know the simple process how to create a simple calculator program in VB just follow these steps one by one which are showing below. Then replace ‘Command1’ to ‘+’ from Properties Window. Then replace ‘Command 2’ to ‘-’ from Properties Window. Then replace ‘Command 3’ to ‘*’ from Properties Window. Then replace ‘Command 4’ to ‘/’ from Properties Window. Then replace ‘Command 5’ to ‘CLEAR’ from Properties Window. Then replace ‘Command 6’ to ‘Off’ from Properties Window. Then input code to Command 4 code box. 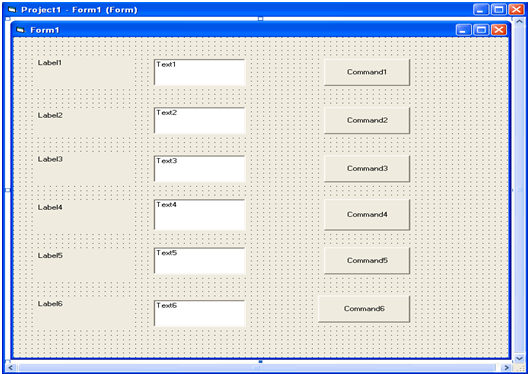 Then input code to Command 5 code box. 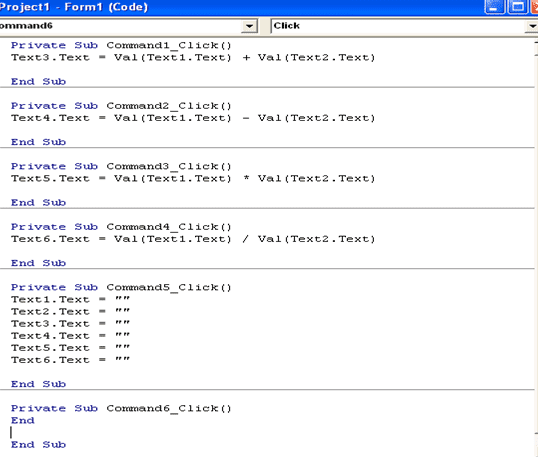 Then input code to Command 6 code box. 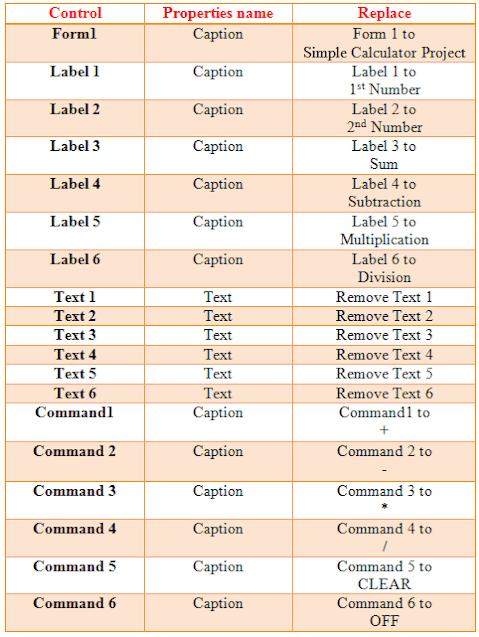 Then click on ‘CLEAR Button’ for clear the Text1 to Text6 box. This is the simple way to create a simple calculator program in VB. 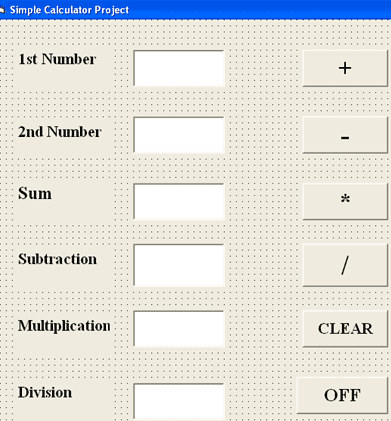 Now you can easily make a simple calculator program.